An elder law attorney provides help not just to seniors, but also to young people as well. The job of an elder law attorney is to give you the advice and tools you need to make plans for the future. Because seniors are often the demographic group most concerned with planning for end of life issues, elder law is often associated with older people – and this field of law gets its name based on the fact so many seniors are interested in the services that an elder law attorney provides. 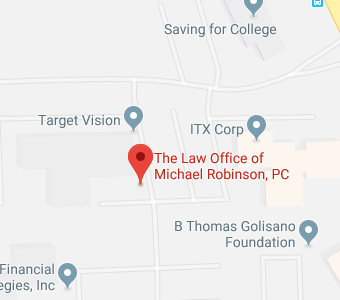 However, people of all ages– especially young families– should talk with The Law Office of Michael Robinson, P.C. to find out how an elder law attorney can offer personalized help. Talking with an elder law attorney about your specific situation is the best way to put your plans in place to keep yourself, your assets, and your family secure. You can also review some answers to frequently asked questions here to find out more about the services an elder law attorney provides and to find out about the steps that you should take to be prepared for uncertainty in your future. There are many elder law myths that people believe which can end up costing them a lot of money. One common myth is that you can just give away money and property in order to be able to qualify for Medicaid. Unfortunately, if you fall for this myth, you could cause yourself to become temporarily disqualified from getting Medicaid benefits by transferring assets for less than fair market value or by making a gift of assets. Medicaid looks back five years from the time you want to be covered to see if you made asset transfers. If you did, you can be disqualified from getting Medicaid benefits for a period of time based on the value of assets you gave away or transferred for less than fair market value. You need to make a Medicaid plan that won’t result in your disqualification from Medicaid coverage if you hope to protect your assets while getting a nursing home paid for.Other common myths include the idea that you should wait until you are old to create an estate plan or the idea that once you have created an estate plan, you are done with the process and no longer need to worry at all about making further plans for end-of-life issues or for your legacy. You need to make a plan when you are young, keep your plans updated, and work with an elder law attorney to ensure that you don’t make mistakes or fall for misinformation that hurts your chances to be prepared for the future. To find out more about the many ways an experienced attorney in the elder law field can help you, join us for a free seminar. You can also give us a call at 585-374-5210 or contact us online to get the type of personalized help and support you need to put a plan in place that you feel confident about. Give us a call today to find out how we can help.